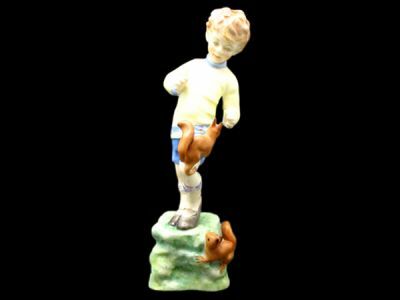 Royal Worcester figure “October” is a cheerful boy playing outside with squirrels. Features fine detail and vibrant colour. Model #3417 was designed by F.G. Doughty and made from 1951-1985. Measures approximately 2" x 7.5".